Hanlees Auto Group: Toyota's College Grad Rebate Program for Buying a New Car! 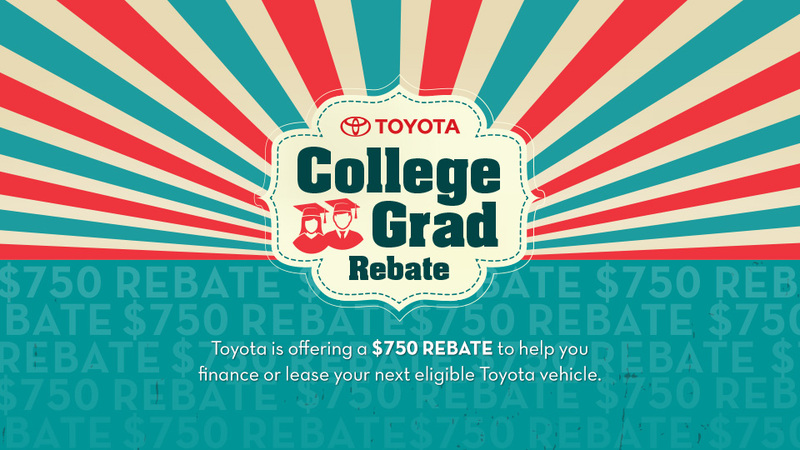 If you've graduated from college within the past two years (or will within the next 6 months), you can take advantage of Toyota's awesome College Grad Rebate program! Not only will you receive a $750 rebate, but you won't have to make a single monthly payment for the first 90 days! To learn more, visit either our Davis Toyota or Hilltop Toyota rebate sites to learn more, and where you can fill out a form to contact us today!